Hi, my name is Malene and I run YHM Home. 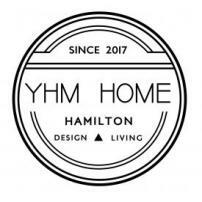 YHM is the airport code of the city where I live, but it has come to represent so much more. I'm a die-hard chocolate fan and while I used to skip desserts, it's something I look forward to these days. On this page, you can expect to find some excellent dessert ideas, some decadent chocolate pieces, and some random facts about food that will help you impress at your next dinner party. When I'm not hanging out here, you can find me at www.yhmhome.com. Should you add edible flowers to your chocolate bark?